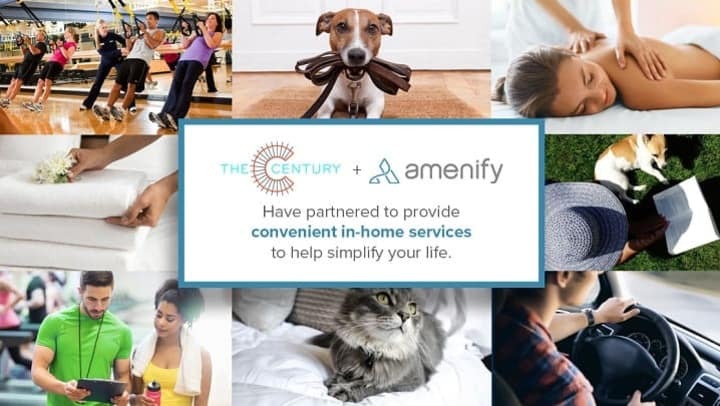 Exciting news - The Century has partnered with Amenify to offer our residents convenient access to book in-home services and exclusive discounts available only to Pillar Properties residents! Residents of The Century can schedule apartment cleaning, in-home massage, personal training, and dog walking with best-in-class providers, all at their fingertips! Amenify is accessed through our resident app and offers discounted days for these services as well as local and national discounts on well-known services and products. The Century team and our dedicated concierge at Amenify are committed to enhancing and simplifying the lives of our residents through exceptional experiences. We're thrilled our residents are starting the year with exclusive access to personally tailored offers and amenities!